is uniquely effective as phonological awareness and beginning phonics instruction for beginning or struggling readers. Sounds Sensible provides hands-on instruction in the most reliable indicators of reading success: phonological awareness, alphabet knowledge, and understanding letter-sound relationships. Appropriate for Grades K-1 or Intervention. program is a Hands-on Approach to Phonics and Word Study Provide at-risk students with an alternative approach to phonics, word structure, and spelling with this unique, multi-sensory program. Touch-Units® make decoding concepts attainable by involving four modalities: visual, auditory, kinesthetic, and tactile. Through manipulation of the Touch-Units students can link sounds to letters, recognize patterns, and build and write words before finally reading words in context. Appropriate For Grades 1-4 or Intervention. supports the acceleration of readers through individually designed lessons, assessments based on systematic observation, and the development of phonic awareness, phonics, spelling, comprehension, fluency, and early writing skills. Appropriate for Grades 1-3 or Intervention. research-based lessons that ensure mastery with rich nonfiction and fiction selections, direct instruction, guided review, independent practice, and embedded test-taking practice. - Lesson extensions engage students in writing, research, and cross-curricular activities. - Teacher-directed instruction draws on models to explain the skill. Students complete the activities working independently or in small groups, and answer selected-response questions in a standards-based test format. DIP is an Orton Gillingham based multi-sensory curriculum that teaches reading , writing, spelling as well as verbal and written expression. Each lesson is structures with multiple activities in the same daily routine, deliberately alternating visual, auditory and kinesthetic modalities. Appropriate for Grades 3-8 or Intervention. is a systematic handwriting intervention program to support children with dysgraphia or handwriting difficulties. It provides structured lessons that include: relaxation and reflection techniques, review, introduction of new concepts, linkage, practice of ( near point, far point, signature, instant writing, spontaneous writing) and review and closure of the lesson. Scientific Spelling teaches students how to spell. Students learn recurring patterns for spelling, rules for doubling, dropping, or changing letters, and how to analyze words. Appropriate For Grades 1-6 or Intervention. Spalding instruction is explicit, interactive, diagnostic, and multisensory. The model, coach, and provide support as needed; students articulate, reflect, and explore new concepts. Careful daily observation of student progress enables teachers to differentiate instruction to meet student needs. Students see, hear, say, and write using all channels to the brain to enhance retention. All elements of the language are integrated in spelling, writing, and reading lessons. The kindergarten through to sixth-grade curricula is structured, sequential, and cumulative. Phonemic awareness, systematic phonics, high-frequency vocabulary are taught in spelling. In the writing lesson, the same high-frequency words are used to teach word meanings, usage, word parts, grammar, and composition. In the reading lesson, students learn the attributes of fine literature, the structure of narrative and expository text, fluency, listening and reading comprehension. They learn to monitor their comprehension while reading, to make connections with prior knowledge and the text, to predict word meanings, type of writing, outcomes and so forth. They learn to reorganize (reformat) the information in text and use it to mentally summarize to enhance comprehension. Appropriate For Grades K-4 or Intervention. Writing instruction/method used to support the development of ideas in writing narrative, descriptive, expository and persuasive pieces. Appropriate for grades 1-8.
provides a concrete, colorful method for teaching the functions of parts of speech and sentence structure. Students develop strategies to support use of fundamental grammar in oral and written expression. Appropriate for grades K-3 or Intervention. is a multi-sensory math program that makes critical math concepts appealing and accessible for students who struggle to understand grade-level content. 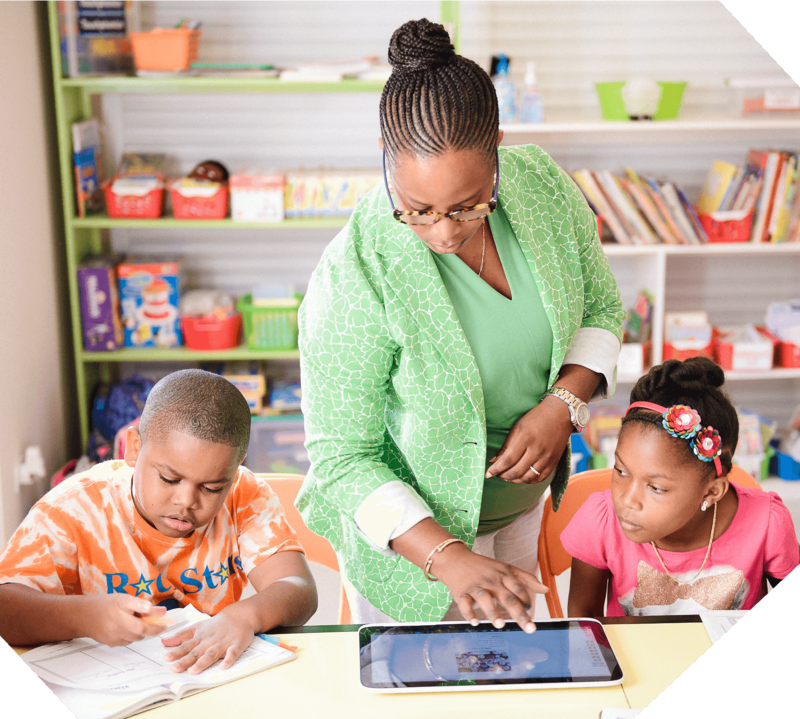 TouchMath maximizes student potential through hands-on math programs, cultivating success with individuals of all abilities and learning styles. Appropriate for grades K-8 or Intervention.